RZD 002 TERA1-002 (JT46CW) Lyudinovo Locomotive Works class TERA1 4000 hp Bo+Bo-Bo+Bo. 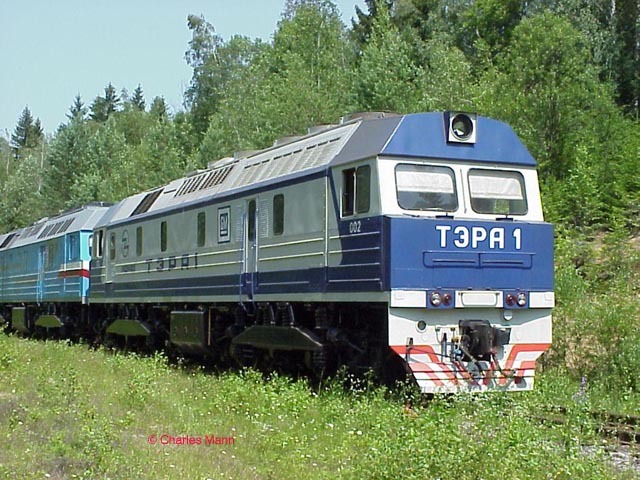 Photo at Scherbinka Russia from Charles Mann..
SZD (Soviet Union Railways) also had a GP7 presumably obtained from Cuba. Unit was originally US Army 1833. Presumed dismantled, but seen by an AAR observer group some years ago.